Is your business or commercial property at risk? 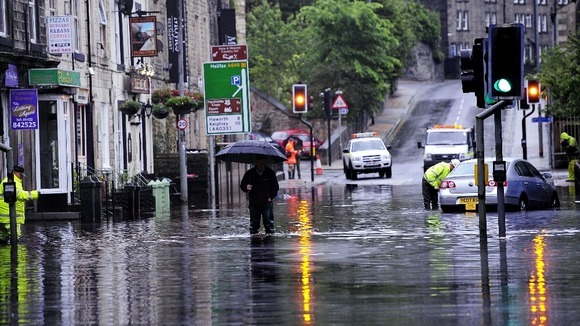 Flooding and adverse weather have affected much of the UK in the early months of 2014, submerging businesses and devastating towns and villages along the way. Although weather warnings give a heads-up when heavy rainfall is expected, they cannot prepare you for the aftermath. If you are hit by flooding and your commercial property is damaged, flood insurance will compensate damage costs and ensure that you aren’t left out of pocket. Flood insurance is available in all shapes and sizes, so don’t let the cheapest deal lure you in; speak to a professional insurance broker for expert opinion and guidance. Another thing you can do if you’re at risk of flooding – as recommended by the Environment Agency – is create a ‘response plan’. By taking precautionary measures and following simple best practices you’ll not only save money and time, you’ll protect stock and equipment too. When taking out flood insurance the key thing to remember is risk; which specific areas of your business are at risk, how location could be a factor, and how quickly you could recover if the worst did happen. You can take every precaution to limit the damage caused by floodwater, but it’s important to never assume that you’re completely flood-proof. Almost 8,000 residential properties were affected by floods in 2012 and the Environment Agency issued a record 1,000 flood warnings throughout November and December. In those two months, entire regions were cut off, first by rail and then by road. The AA responded to more than 8,000 calls from motorists, six times higher than in 2011, and 16 times more in the south-west. The cost of the clean-up is in billions. Commercial properties that are close to estuaries, riverbanks or sewers, are extremely vulnerable to high groundwater levels and may therefore require a specific type of flood insurance. If your business has been affected in the past, business interruption insurance could be the best option for you. More often than not, this type of cover is the difference between a business staying afloat or going under, given that even small businesses can expect to make a claim of £40,000-£80,000 for flood damage.